This beautifully renovated villa is set in attractive gardens with covered terraces, and is within easy walking distance to the town centre and Palais de Festivals. The ground floor compromises a double living/dining room that overlooks the garden with dining table seating 8, an open kitchen with electric induction plate, microwave, electric oven, refrigerator freezer and dishwasher. 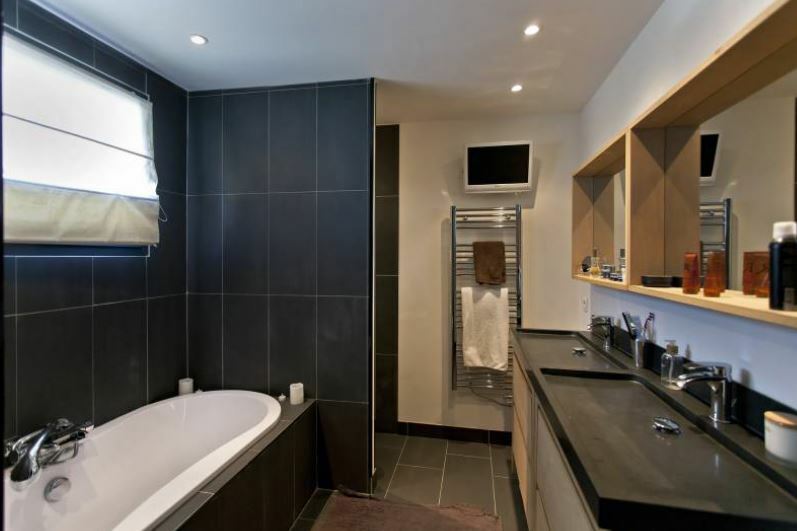 On the garden level there are two bedrooms that share a shower room with a wash basin, toilet and shower. The first floor features 3 further bedrooms two with single beds, television and desks, the two bedrooms share a shower room with a toilet, wash basin and shower. The Master bedroom has a double bed with a television, en-suite bathroom with bath, shower, double wash basins and toilet, this bedroom has a private terrace that overlooks the garden.